Happy Friday everyone! 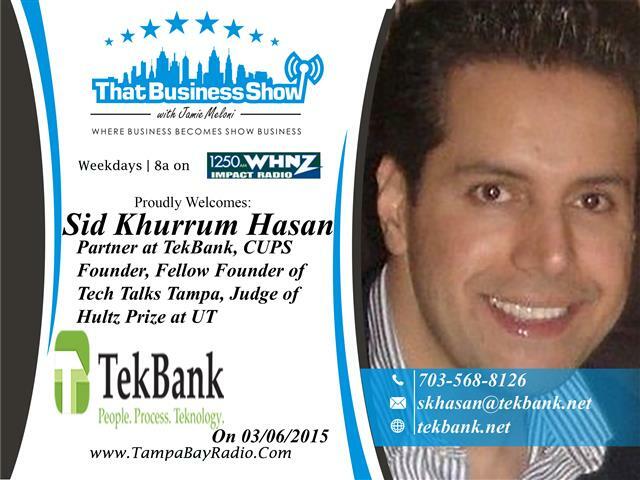 Today on That Business Show, I had a great group discussion with Jessica Eckley, Public Relations Adviser and Founder of Eckley Media and Sid Khurrum Hasan, partner at TekBank, a provider of information technology resources and solutions to numerous commercial and government customers. 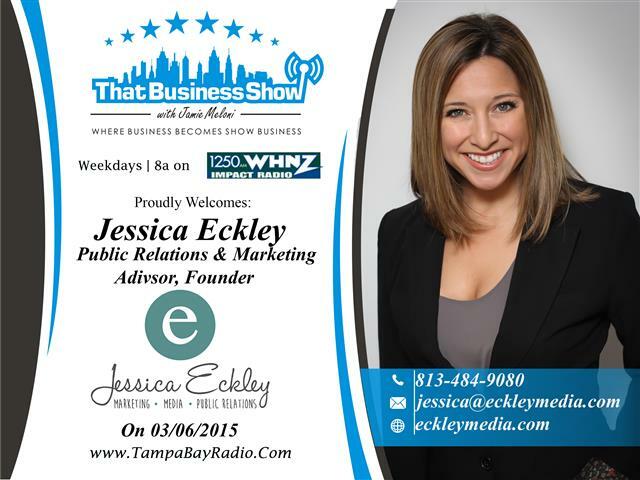 Through her company, Eckley Media, Jessica has worked with many large brands including Feld Entertainment and Wal-Mart and has extensive experience in the sports arena working previously for the Tampa Bay Lightning and Amalie Arena. She spoke of the power of social media and tips/tricks for proper usage. She shares some success stories and talks of the importance of brand storytelling as a key component of proper brand development. Sid added a lot of depth to the conversation and discussed how TekBank assists clients in their internal development while Jessica and Eckley Media work with clients on external development. This is a great episode about positioning yourself and your company as an industry leader. Learn more about Jessica at http://www.eckleymedia.com or via email at Jessica@eckleymedia.com. Learn more about TekBank at http://www.tekbank.net or contact Sid directly at skhasan@tekbank.net.